The most common injuries in the workplace come from falls, slips and trips. Our guide to commercial flooring will help you address these issues and understand the different ratings. Many workers spend around 70% of their days in their work environments. Having a creative and clean workplace is valuable, but even more essential is a safe space to work in. A crucial component of that is the safety of the very floor they walk on. 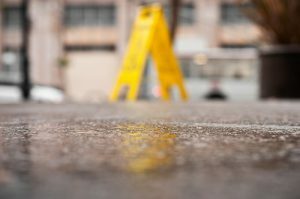 With accidents in the workplace largely being in the form of slips and trips, slip ratings provide contractors and employers one way to assess what kind of floor they should have, particularly in relation to the construction and material used. Floor materials are graded to ensure commercial compliance to certain safety regulations. 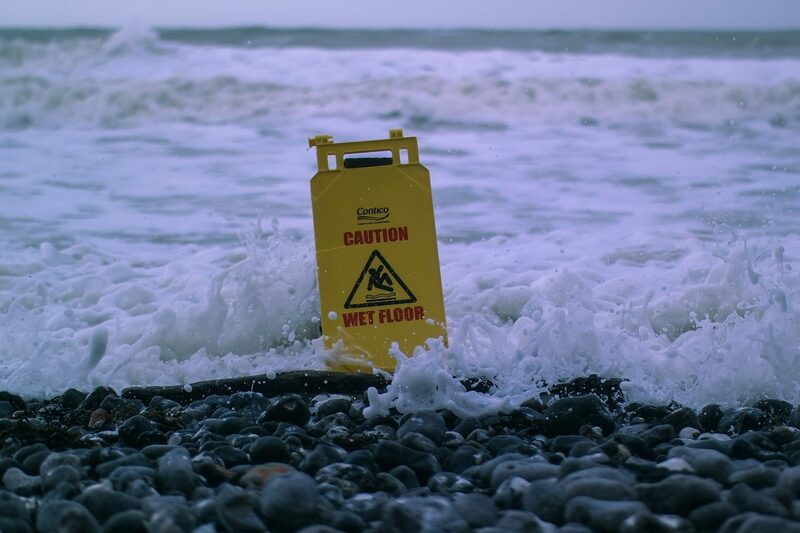 The R rating standard is used in environments for covered feet, in which a rating of R9 indicates a high chance of slipping (especially when the floor is wet), while a rating of R13 indicates a very unlikely chance of slipping at all. Materials that are smooth and slick, such as marble, fall nearer to R9, whereas rougher textures would belong in categories up to R13. As mentioned, falls, slips and trips make up a sizeable percentage of injuries in the workplace – about 19%, or a fifth of them, to be exact. Many of them happen when the integrity of the floor surface is compromised, such as by spills or grease. 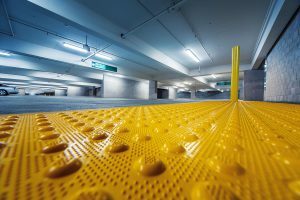 Therefore, looking closely at the slip ratings of different floor materials depending on the needs of your office or work environment is of great importance. Keep in mind that slip ratings for a floor may change as well, depending on factors during installation (such as the laying down of screed for tiling), daily wear and tear, and damage which can lead to flooring defects. How are slip ratings measured? British standards use a few measurements to assign a slip rating. First is the ramp test, whereby a tester walks up and down a ramp elevated to a certain angle. Another is the pendulum test coefficient of friction (CoF) test, where a trained professional assesses the slipperiness of a floor with a pendulum that has been fitted with a standard rubber sole. It tests for skid resistance by checking pendulum test values (PTV) under a controlled contact of the pendulum against the floor. The lower the PTV (for example, a score of 0 to 24), the higher the chance of slipping. A score of 36 or higher indicates an unlikely chance of slipping on the floor. Different sliders on the pendulums are used depending on whether the environment is made for shod feet or bare feet. These methods are performed under both wet and dry conditions. Surface meters are also used to measure how rough the surface is, in Rz microroughness values. Measurements are taken across various points of the flooring. Commercial flooring can include a wide variety of materials. For the average office that requires a safe floor which is also easy to maintain and clean, look for about R10. Workplaces that result in more wet floors, such as swimming pools or spas may consider getting flooring that tops off at R13 in order to maximise friction, such as heavily textured tiles that are still aesthetically pleasing. If you’re interested in finding out more about flooring and safety, please contact Duraflor. We will be happy to assist you in picking out the best choice for your needs.